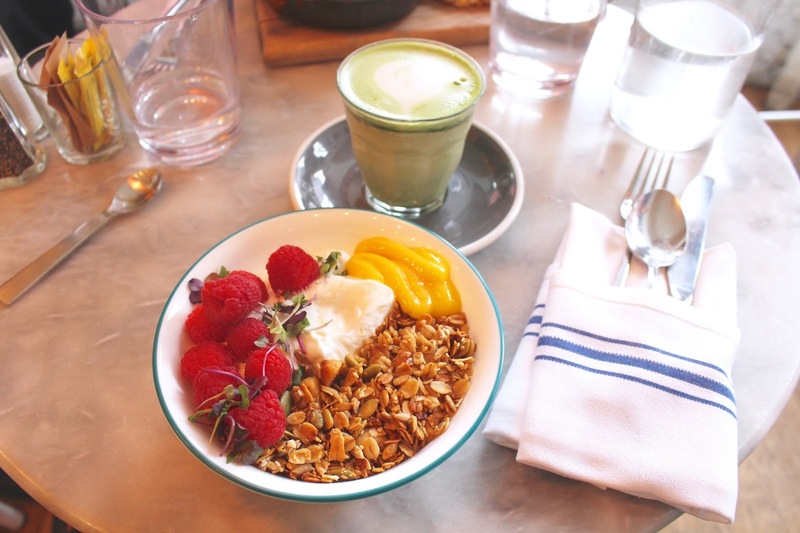 Bluestone Lane is probably one of New York's most popular brunch spots, at least if I must believe all the Instagram posts I see on a daily basis. 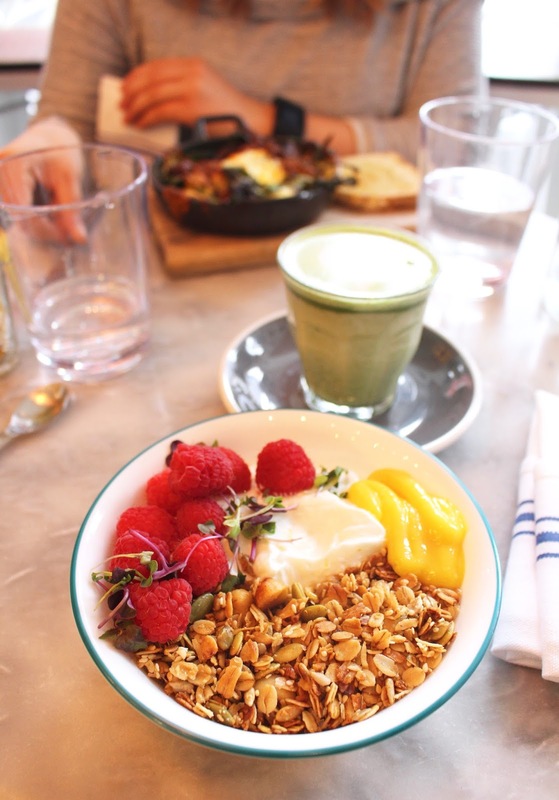 Like most great brunch spots in New York, Bluestone Lane is Australian. 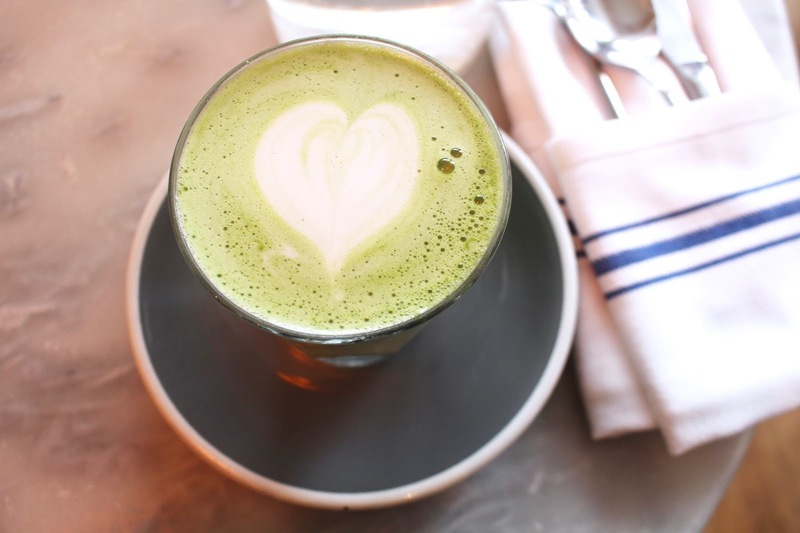 They have a few cafés dotted around the city but their Collective Café on Greenwich Avenue is a little larger than most of the cafés and you can come here for breakfast, lunch and a glass of wine with appetizers al fresco on their cute white terrace. 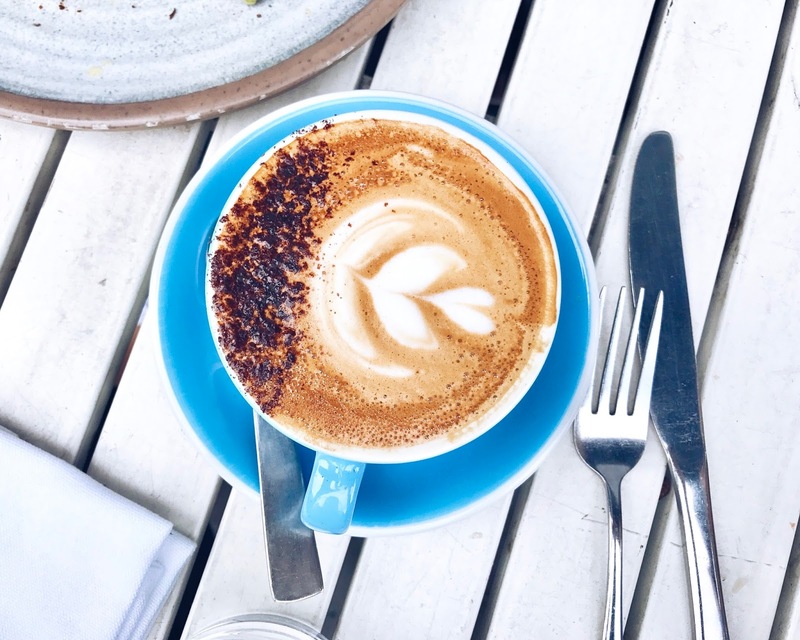 Let's start by saying that Bluestone Lane has really great coffee. Order a flat white and you'll get a real taste of Australia, trust me. And the coffee comes in the cutest bright blue cups. 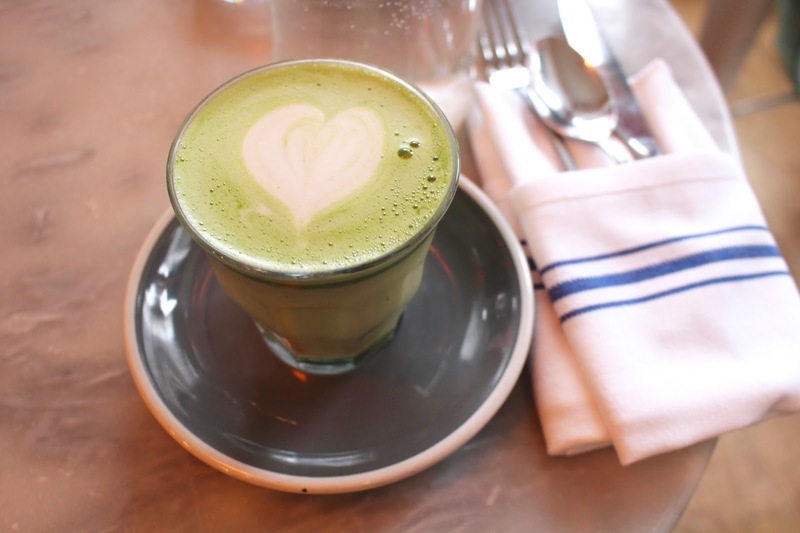 If you're not much of a coffee fan, I can also highly recommend the matcha latte with almond milk. Very velvety! There's a range of different breakfast options, most of them are on the healthy side. 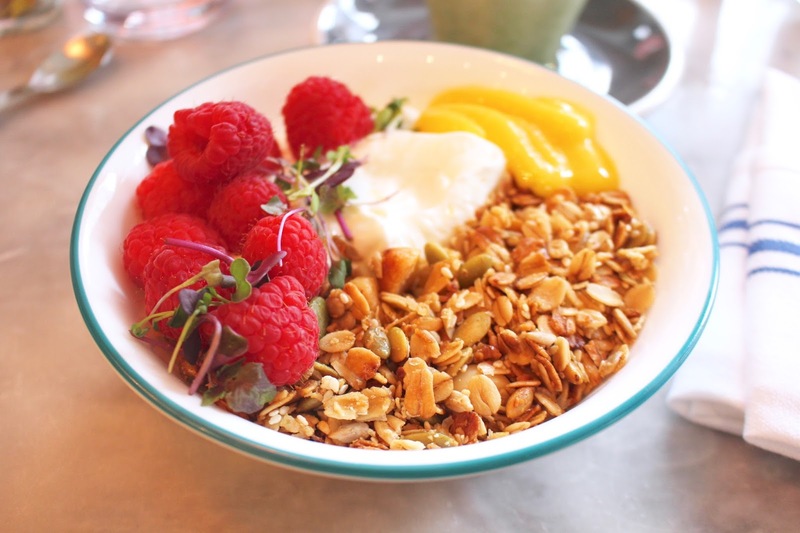 I tried the coconut granola bowl with Greek yogurt, raspberries, and citrus curd. Really tasty and surprisingly filling thanks to the portion size. One of the most popular breakfast options here is the avocado toast with feta, tomatoes and a poached egg on thick sliced sourdough. 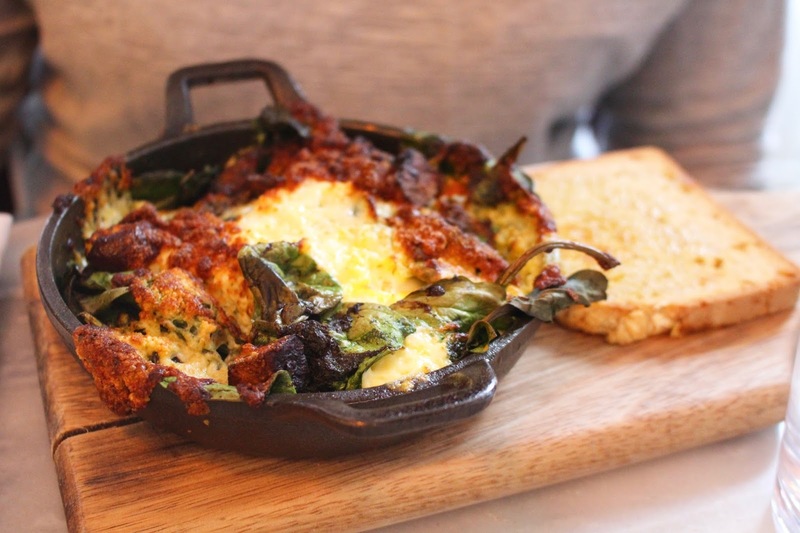 Another Bluestone Lane classic is the green baked eggs: a little pan filled with eggs, chimichurri, cherry tomatoes, spinach, portobello mushrooms & feta, served with toast. A more hearty and filling option. Another favorite is the banana bread with fresh ricotta and sliced banana, but I have yet to try it! So does Bluestone Lane live up to the hype? Yes and no. To me, it's not really one of the best breakfast spots in New York, but on the other hand, it's one you can rely on (except weekends, it gets crazy busy). The prices are a little steeper than some other cafés but the portions are pretty big and the quality of the food is good. I understand why so many people love this café!